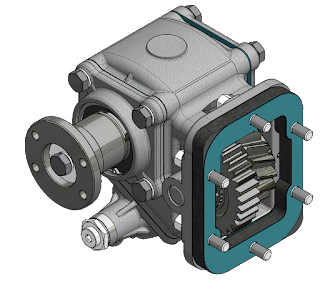 Extending our range of products, we present our new constant mesh PTO, with one gear, to be mounted on the left side opening of the gearbox Isuzu MEB9. This PTO is available with pneumatic actuator, with output flange. Isuzu MEB9 is a 9-speed manual gearbox, capable of developing a high torque. Combined with the 6NX1-TCS engine, it achieves a greater efficiency in the consumption and a lower level of noise. It also saves space in the vehicle thanks to its reduced dimenssions. Bezares presents the new range of aluminum oil tanks MBM in 160 and 200 l.
In these new tanks, the return connectors on both sides have been removed in order to improve the mounting options in those chassis where the space is very limited. On the rear side, next to the suction connector a drain port was added. Also the front level indicator was replaced for a new fill cap with level on the top. Optionally, it can also be supplied with a standard return filter or a low profile filter kit, to avoid interference with other vehicle components. The external dimenssions do not suffer any variation compared with MB series. With MBM Tanks we have improved the manufacturing costs, obtaining a great product with an unbeatable price-quality relationship. From November 21th to 25th Bezares will be displaying its latest products at Solutrans 2017 in Lyon, France. SOLUTRANS, the FFC (French Bodywork Federation) event, organised by Comexposium, is expecting over 900 exhibitors and brands (23% from other countries), covering all sectors, manufacturers of heavy vehicles, trailers, bodybuilders, equipment manufacturers, after-sales specialists, service companies, etc. More than 36,000 visitors are also expected (10% from abroad). We are looking forward to meet you all at our stand in the Hall 5 – Street S – Stand 153. 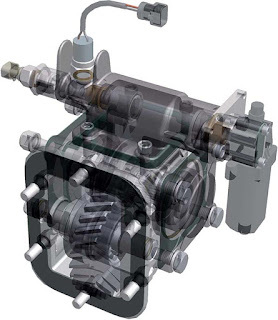 A hydrostatic transmission pump, commonly called a hydraulic pump, is a positive displacement machine and its mission is to transform mechanical energy into hydraulic, based on the Pascal Principle. This Principle is based on the fact that, when exerting a pressure or push on a fluid like oil (which is considered incompressible), it is transmitted equally in all directions. 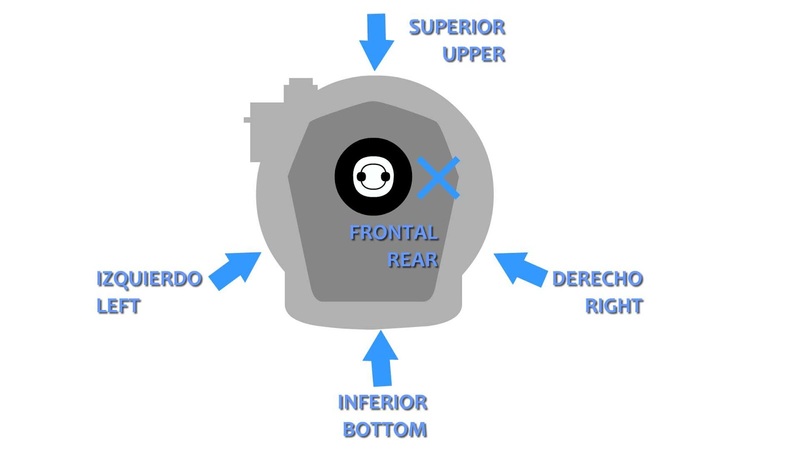 Taking advantage of this principle, hydraulic actuators, depending on the pressure and displacement surface (eg surface of a piston), will transmit the force necessary to move the application. Turning the pump drive shaft causes the internal components responsible for the suction and delivery of the oil to be moved, by varying the volume at each turn, called displacement, with a minimum loss and regardless of the pressure of the system. 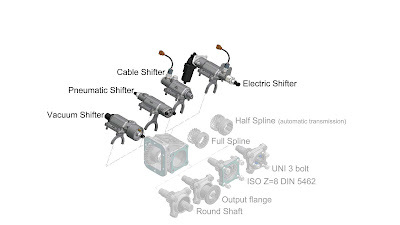 Put more simply, the pump delivers an oil flow to the system and through a distributor with pressure limiting, the direction, the effort and the speed with which the actuator of the application is moved, which is usually a cylinder (tipper, crane) or a hydraulic motor (winch, winch, wheel, head or other). They are usually found in mobile applications such as industrial vehicles, civil works or maintenance, as well as industrial applications such as elevators, presses, machine tools and process machinery. The assembly and actuation of the pump is direct through a power take-off coupled to the vehicle’s gearbox, although an indirect hydrostatic transmission can also be mounted, or by coupling and electric motor (AC / DC) or combustion. The most frequent types of pumps are manufactured Bezares, s.a. (Spain), such as piston pumps, pallets and gears, being one of the few factories in the world that produces the 3 types and also manufactures power sockets and distributors. Displacement of the pump: Knowing the displacement will let you know the size of pump needed. Example: if we have a tap that rotates at 1000rpm and we need the flow rate to be 60l / min, we would need a 60c.c. On the contrary, if we have a pump of 60c.c. and an electric motor rotating at 1,500rpm, the pump would provide a theoretical flow rate of 90l / min. Example: if we need about 60l / min and the application requests a pressure of 250bar, the power we would consume would be about 35 c.v. with a 95% performance piston pump. 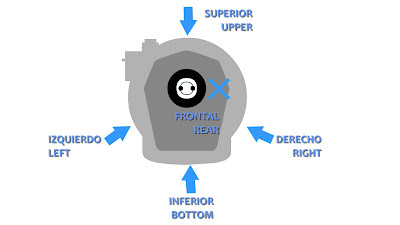 In the case of electric motor mounting, the operating time must be kept in mind. In turn, if we have a motor of 35 cv, we can clear the value of the pressure, to know the maximum value of work in bar. Example: if we have a pump of 60c.c. and the application requests a pressure of 250bar, the torque to be transmitted to the shaft would be 250Nm with a gear pump with a 95% efficiency. If we follow the example of the figure with its units in mm, the piston pump 1 of 1,5cm in diameter has A≈ 1,8. Applying a pressure of 100bar (100kg /), we would obtain F1≈180kg, then the piston 2 of 5cm in diameter and 19.6 would exercise an F2 ≈ 1960 kg, which means about 19,200 N of thrust, capable of raising a vehicle. Once these data are calculated, they are compared to the maximum values ​​of the power take-off or the motor to which the pump is coupled. 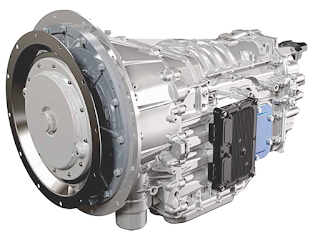 If the calculated data exceeds that of the drive, a smaller pump or a power take-off or the higher-performance electric motor must be fitted. It is very important to keep in mind that the required oil volume should be approximately 3 times the required flow rate and control the variables such as the operating time and the oil temperature. 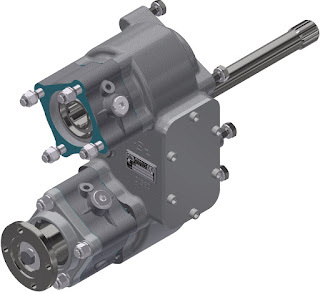 Bezares has a wide range of hydraulic pumps to adapt to the requirements of each application, both in the field of mobile hydraulics and industrial hydraulics. 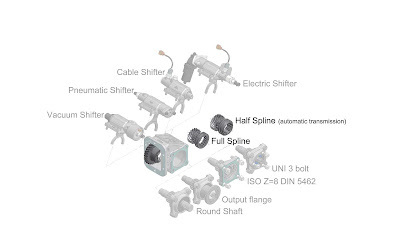 Types of assembly: ISO / UNI / SAE A.Types of assembly: ISO / UNI / SAE A. Types of assembly: ISO / UNI / SAE B. Flow rates: 50 ÷ 115 cc / rev. 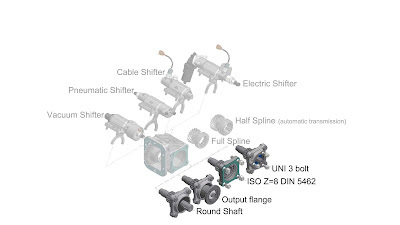 P1 200 ÷ 290 barMounting types: ISO / SAE B / SAE BB.Side and rear ports with BSP, SAE or NPT threadsREINFORCED BELS VERSION WITH DOUBLE SHAFT SUPPORT BEARING. • BEXL / BEXLNS / BEXLRB – Flow rates: 85 ÷ 150 cc / rev. P1 210 ÷ 250 barBidirectional, cast steel body, with internal drainageMounting types: ISO / SAE BB.Side and rear ports with BSP or SAE threadsLIGHT BEXLNS VERSION, WITHOUT BEARING SUPPORT BEARING. • BZ / BZT – Flow rates: 12 ÷ 101 cc / rev. P1 230 ÷ 300 barBidirectional. Type of construction: pistons in lineTypes of assembly: ISOPorts with BSP threadsDOUBLE FLOW BZT VERSION FOR TWO INDEPENDENT CIRCUITS. (*) The load sensing system accurately provides the required flow rate at every moment, drastically reducing energy consumption and generating heat, resulting in smoother and quieter system operation. All of this results in a reduced environmental impact. VQ – Flow rates: 8 ÷ 240 cc / rev. P1 125 ÷ 175 barALSO DOUBLE FLOW VERSIONS AND PASSING AXLE VERSIONS FOR DOUBLE OR TRIPLE PUMPS. VS – low rates: 8 ÷ 240 cc / rev. 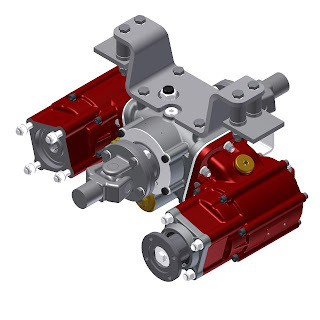 P1 125 ÷ 175 barALSO DOUBLE FLOW VERSIONS AND PASSING AXLE VERSIONS FOR DOUBLE OR TRIPLE PUMPS. 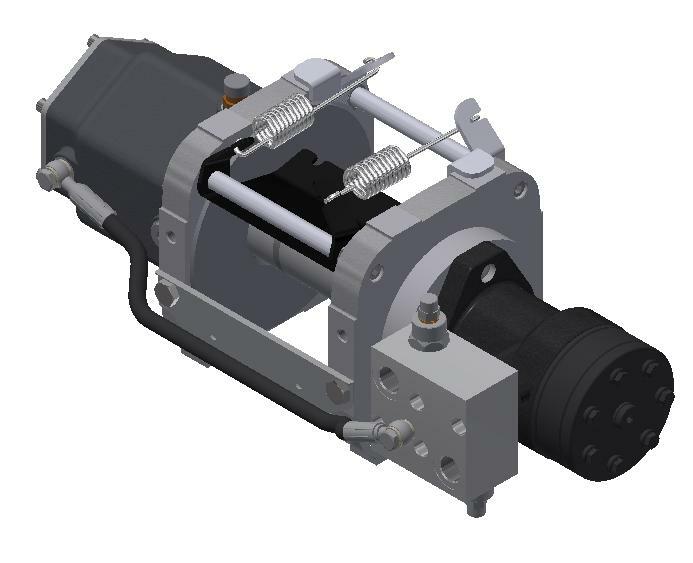 Following its commitment of continuous improvement, Bezares has developed a new version of the BZ-350 transferbox with helical gear. 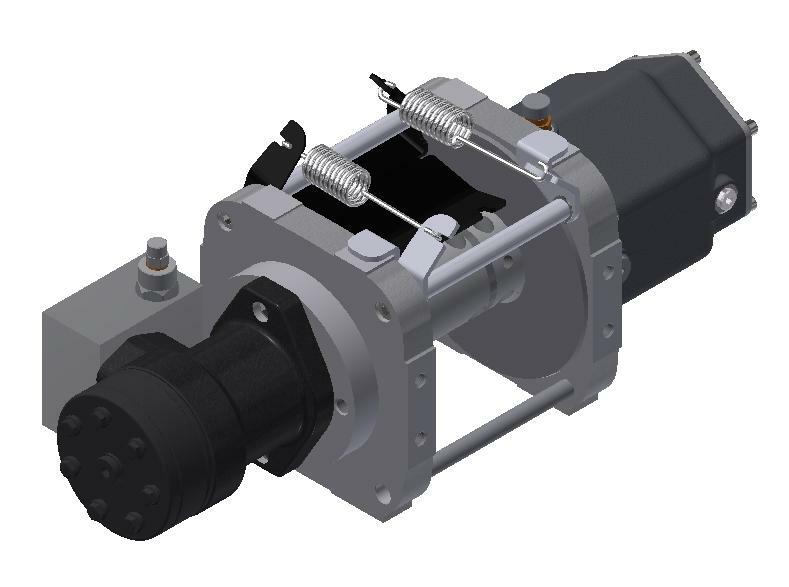 This feature significantly reduces the noise level and improves its performance and durability, which combined with its mechanical or pneumatic actuator options, make the BZ-350 box one of the most flexible options in our range. Auxiliary power take-offs require the input gear # 17 to connect to the central unit. For more information, contact our commercial department with the 6015899 code for mechanical actuator or 6015999 for pneumatic actuator. We are proud to introduce a new version of our well known aluminum tank MB series. This new model is supplied without return ports in the sides, which improves the mounting options in those chassis where the space is very limited. However, general dimensions are the same as the previous MB model while the total weight is slightly reduced. It includes filter flange, rear drain port and fill cap with level rod (front level indicator has been eliminated). Optionally, it can be supplied with a standard return filter or a low profile filter kit to avoid interference with other vehicle components. They are already available in 160 and 200 liters, under the part numbers 90AS16MBM and 90AS20MBM. 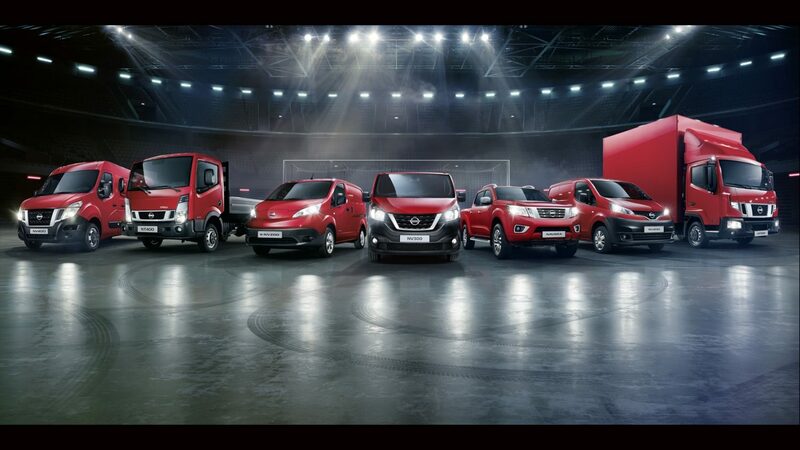 For more information, you may contact our Commercial Department. The first units of our new reinforced power take-off are now available for sale. With internal lubrication and mounting flange incorporated in the housing, this setup has the advantage of easier gearbox mounting by reducing the number of elements to be assembled. Its two outputs, with equal ratios of 1:1.6, can be combined between ISO 4 holes and transmission flange, as well as being used independently when driven separately. Bezares presented its latest hydraulic innovations at the International Exhibition of Machinery for Public Works, Construction and Mining (SMOPYC) 2017 at the Zaragoza Fair. SMOPYC, an internationally recognized fair, closed its 2017 edition exceeding exhibitors’ expectations. 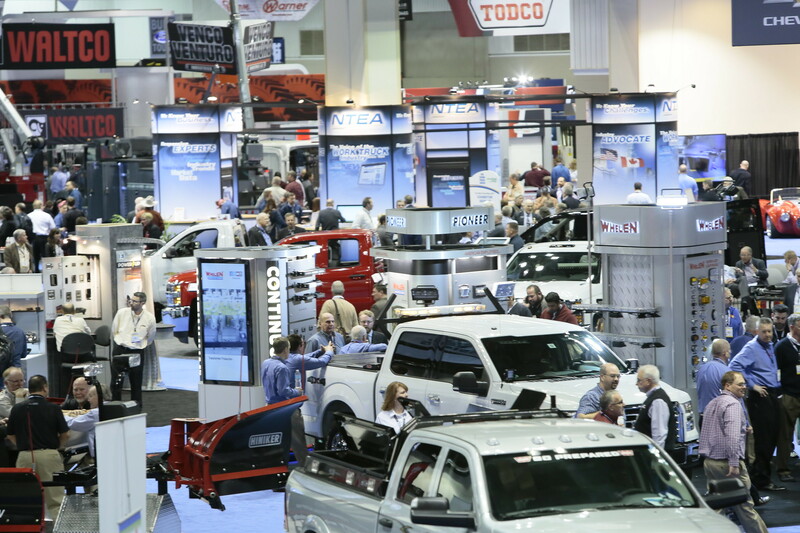 The participation of 720 companies from 28 countries and the attendance of nearly 48,000 professional visitors confirmed the strength of the event in a edition strategically focused on the export market. SMOPYC has the presence of practically all sector associations and its 2017 edition was among the bigger specialized fairs in the world in the field of industrial machinery and construction. 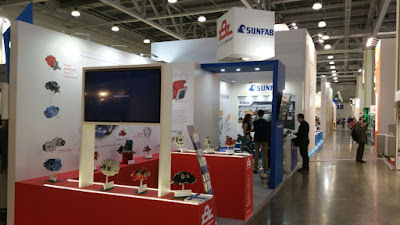 We would like to thank your visit in our booth. We are looking forward to seeing you again in next shows!